Oil is the result of decaying matter of once-living organisms compacted over untold tens of millions of years. As layer upon layer of sediment settled one on top of the other, the increasing pressure and the ensuing rising temperatures produced a chemical change whereby the remains—way too complex to discuss here—were transformed into the raw material that would eventually lead to petroleum. Most boat owners are savvy enough to chart their necessary fuel-ups with plenty of reserve built in. 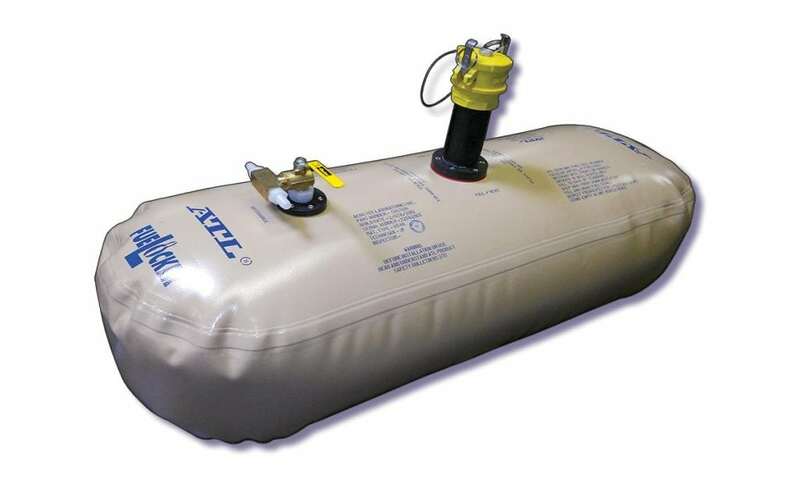 But if you enjoy covering long distances and do not have the proper tankage—or do not trust the quality of the fuel in a certain port of call—you might consider carrying bladder tanks to store your extra fuel. With ATL equipment, a half-inch brass ball valve assembly with a composite hose barb fitting is standard, with an optional one-inch ball valve for those who are looking for faster fuel transfer. Reinforced hose is then slipped over the barbed fitting on the outlet while the other end is run into the vessel’s main tank. A siphon or gravity feed is then initiated to start the flow of fuel from the bladder to the main tank. 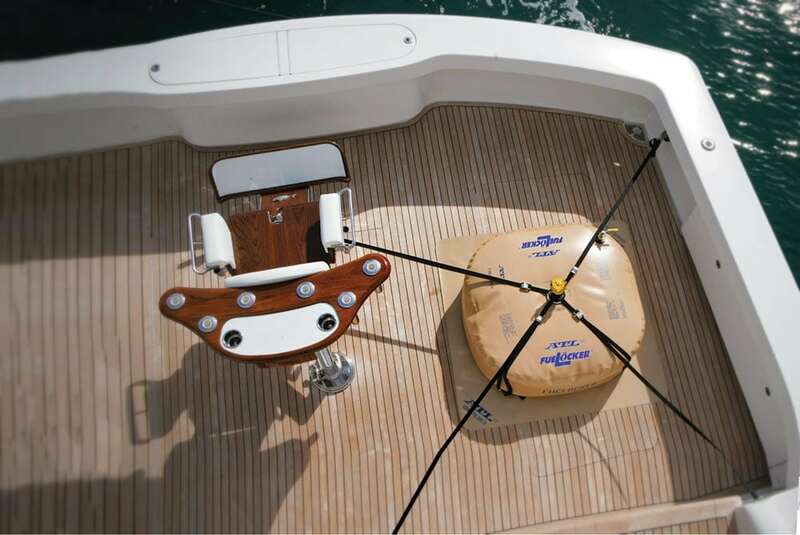 Alternatively, an explosion-proof pump may be used to transfer the contents of the bladder to the boat’s main tank. “We also offer our space-saving FueLocker™ design not only for those whose deck space is limited but also to maximize those areas where traditional pillow type of tanks can take up lots more real estate,” Dack suggests. If you boat seasonally you will want to pay special attention to the fuel in your tanks when preparing for winter lay up. “For inboard gasoline or diesel boats, and with all the issues concerning ethanol, we add a fuel stabilizer and top off the tanks to minimize the chance of any water condensation from happening, which stimulates biological growth and corrosion.” says Dan Cordano, Service Manager for the Suntex Liberty Landing Marina in Jersey City, New Jersey. For outboards with small portable fuel tanks, Cordano suggests running the engine until it stalls out before putting it away. With those portable tanks, he suggests making sure you use the familiar red plastic for gasoline and yellow for diesel to avoid any confusion. Until we figure out a better way to power our boats, perhaps with solar, wind, electric, another energy source, or a combination thereof, taking the proper precautions and getting the best out of our fuel systems will keep your boat running smoothly and safely.